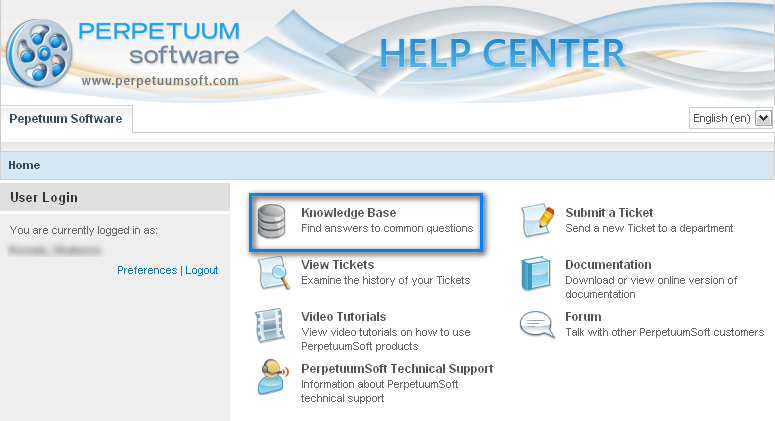 Knowledge Base contains instructions and manuals for all products by Perpetuum Software. 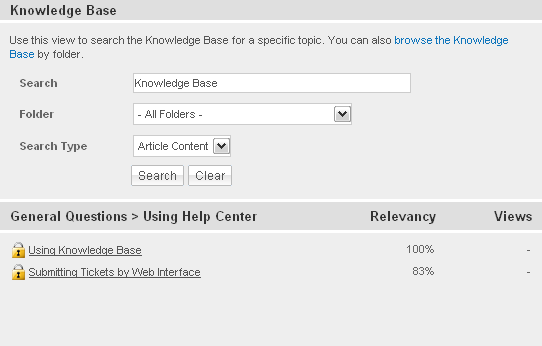 Follow “Knowledge Base” link on the main page of Help Center to use it. “Folders” section contains article reviews sorted by topic folders. Follow the “search the Knowledge Base” link to use Searching. Fill in “Search” field, choose searching direction – “Folder” list and search type – headline or an article number. Press “Search”. Searching results will be sorted by folders and then by relevance. The system also searching in the Knowledge Base automatically when user fills in “Subject” line adding new ticket using Web Interface.